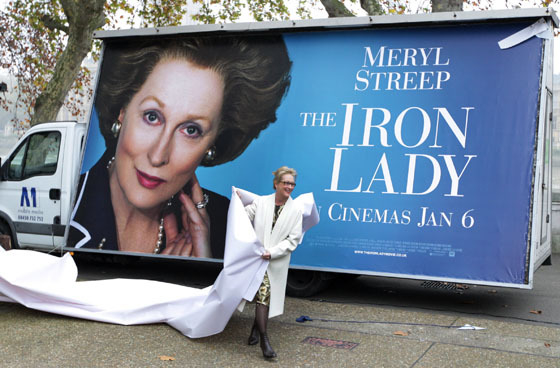 Earlier today Meryl Street was in London for the photocall of her new movie, ‘The Iron Lady’. I can’t think of a more worthy person to portray Maggie Thatcher. The American actress opted to wear a British designer for the occasion by selecting a Stella McCartney Fall 2011 look. An gold foil print dress was paired with a gorgeous oversized Stella McCartney winter warmer.